As populations in Ontario grow, both owners and renters are getting creative with their living spaces. Multi-unit and co-op properties have never been more popular in the Mississauga area but even with multiple tenants, comes a great deal of maintenance. Take shared laundry maintenance. These spaces are used by everyone but for the most part, regular upkeep like clearing ventilation systems falls onto property managers. 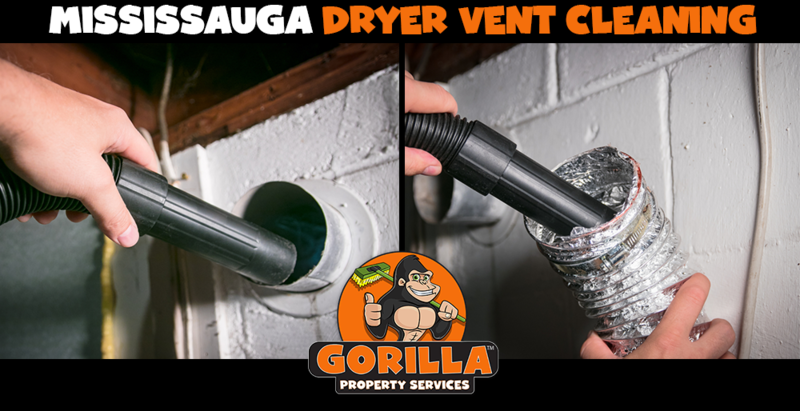 If you are having a difficult time managing your co-op laundry room, just call a Gorilla for your Mississauga dryer vent cleaning service. There is nothing more irritating than paying for a load of laundry and having it come out damp. Inefficient drying machines are a major issue for tenants of multi-unit properties. Most tenants are quick to blame the machines themselves but there might be a more simple solution than a full replacement. Lint and debris collect with every load that passes through your system, but instead of simply being able to clear a lint trap, these materials can make it into ventilation systems themselves. As material collects, it begins to slow systems down and can even pose health risks to tenants. Without proper airflow, dryers are unable to function properly, forcing multiple loads and creating even more debris inside the system. The more unwanted material that collects inside your system, the greater the presence of allergens and mould growth. Everyone know that lint traps need to be emptied regularly to prevent fire hazards so an air vent should be no different! By making your Mississauga dryer vent cleaning a part of routine service you can eliminate these risks while maintaining a welcoming and functional laundry room for your tenants. After decades in the property maintenance industry, our Gorillas know a thing or two about getting results. 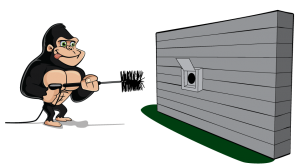 By using the right tools, our Gorillas are able to analyze the inner working of your ventilation system. Through proper assessment, our Gorillas can pick out the problem areas, and provide complete removal at a competitive rate.